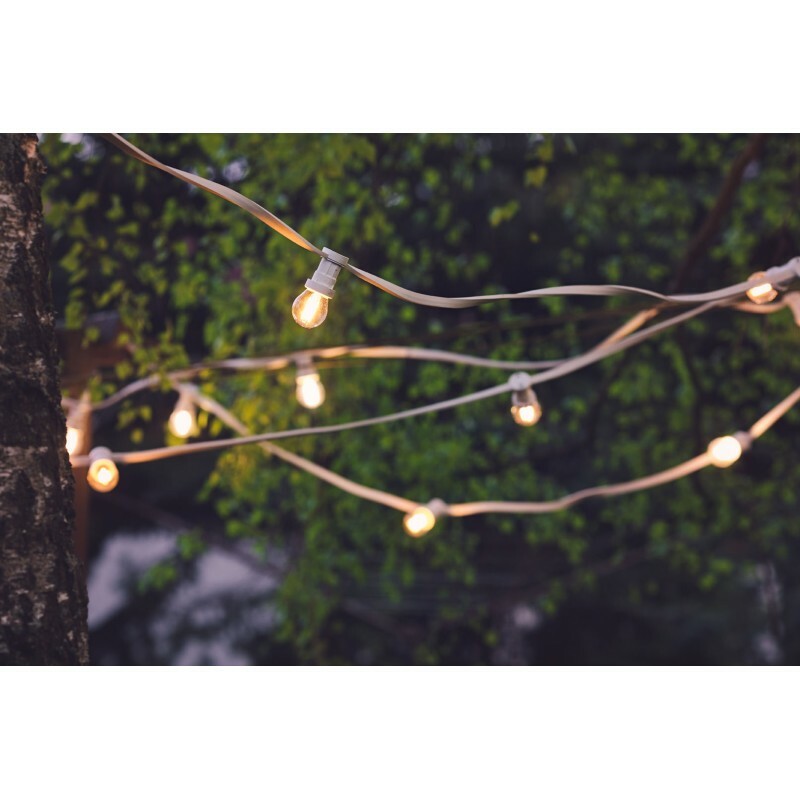 Festoon lighting chain is ideal for outdoor, residential and commercial environments. Is a great way to illuminate outdoor events such as birthdays, weddings, corporate events, festivals, as well as large spaces such as city squares, stages, streets, etc. Festoon lighting chain is secured with a hook end, thanks to which it can be easily hung. 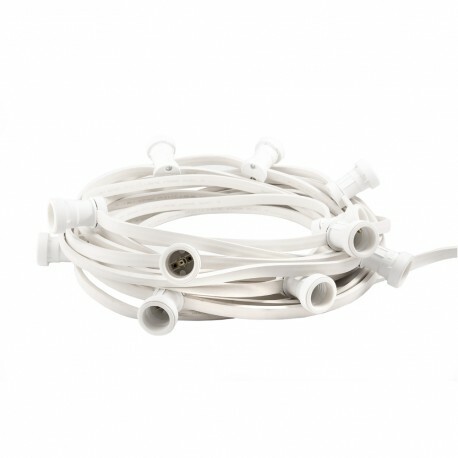 Each lamp holder is equipped with a silicone ring, which protects it against moisture and low temperatures. The rubber cable is very flexible despite its thickness. 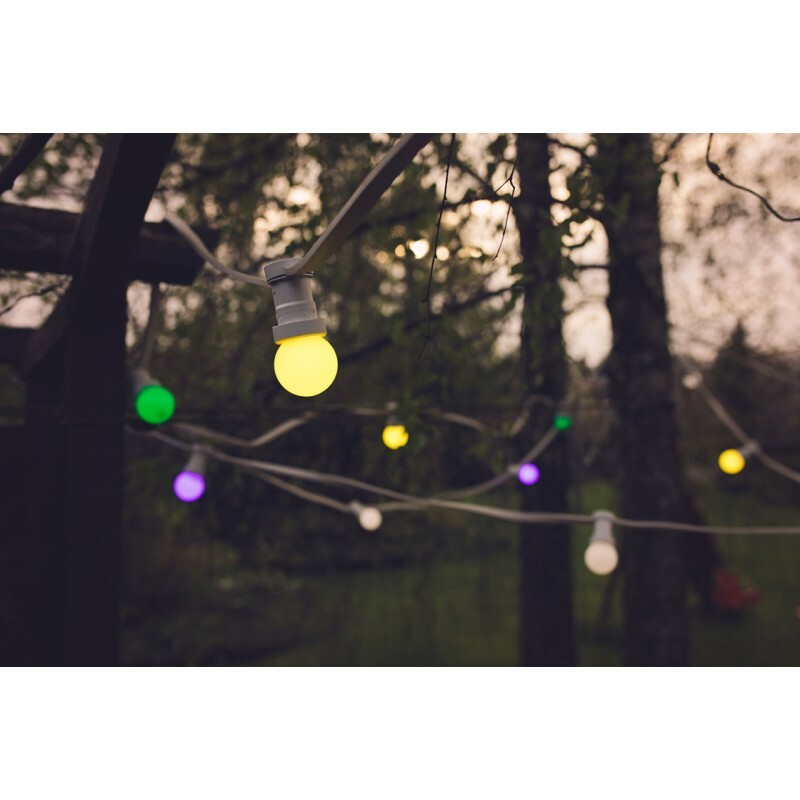 Festoon lighting chain is compatible with the E27 LED bulbs available in the store (buy). 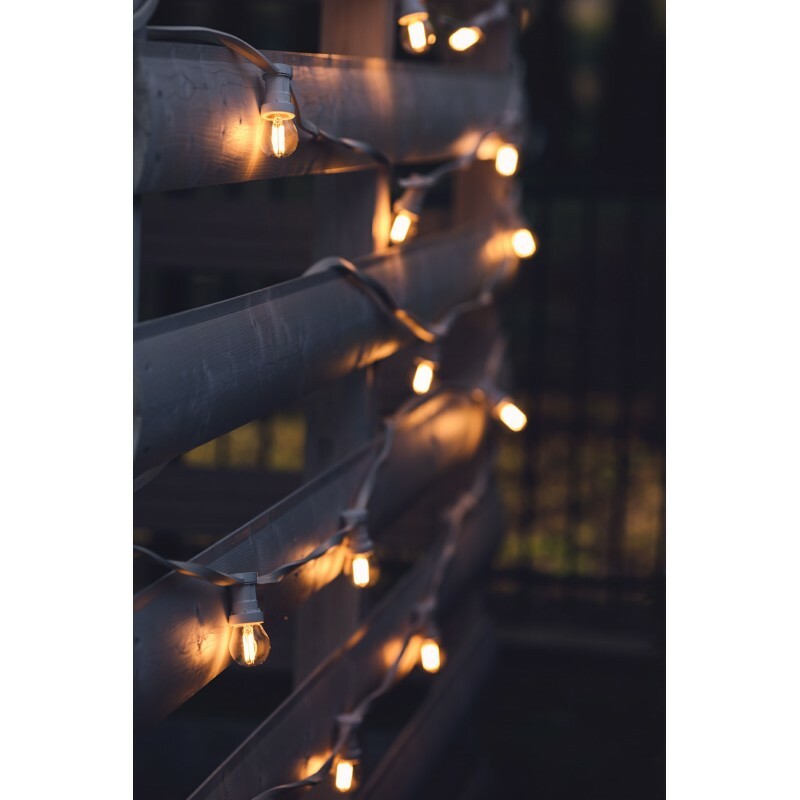 If you are interested in a different length or spacing of bulb holders, write to us: sklep@kolorowekable.pl, we will assemble a garland for you, even 100m long. - Bulb holder 250V, 16A, thread E27, IP44, suitable for use with energy-saving and LED bulbs (buy). - Sold without bulbs (buy). 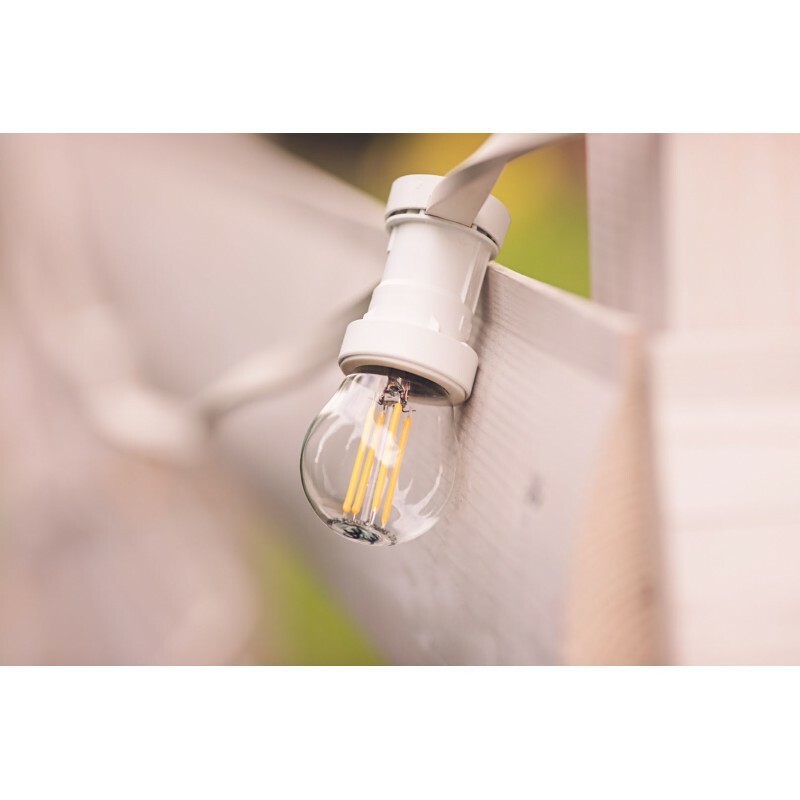 - If you are not sure how to connect the garland safely and correctly, contact a qualified electrician.